Planned to visit mall in Bangalore? Here you can find the best 5 shoping malls in Bangalore to enjoy with your family and kids. 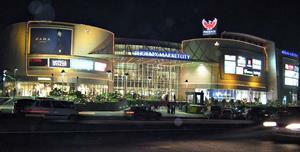 Read the below article to find the top 5 malls in Bangalore. 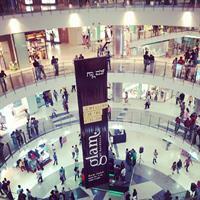 Best malls in Bangalore - Bangalore was filled with shopping mall since 2000. Recently many new shopping malls are built in many regions of the city. Below I have given best 5 biggest and most beautiful malls in Bangalore that made me awe feel. It is the biggest mall in Bangalore established in the year 2010. The size of this mall measures 1,700,000 sq ft. Mantri mall is located at Sampige Road, Malleswaram which is just 3 km away from Majestic bus stand. It took 500 crores to build this mall. This mall contains 253 retail outlets contributing more than 10K brands. The beauty of this mall is, the railway station is connected to the second floor of this mall, means you can just enter to the second floor of the mall through the train. Actually, it is an ongoing project and you can enjoy this experience once the metro rail project is accomplished. This mall is situated at Whitefield, Bangalore. This mall contains a wide range of shops, dines and games. This mall conducts events regularly. This mall is spread over 700,000 sq ft. This mall is filled with more than 200 branded stores. It offers products from budget range to luxury range. There is an outdoor area in the mall and it's suitable for the kids to play and enjoy. It is a luxury shopping mall with 850,000 sq ft area. The construction of this mall accomplished in the year 2012. I feel it is the beautiest mall in Bangalore. This mall is able to satisfy everyone needs with more than 100 retail stores. The architecture of this mall is designed by H.O.K, a well-known architectural giant from New York. 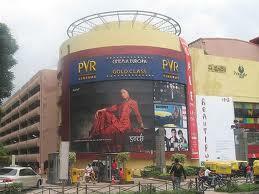 You can enjoy movies at PVR cinemas. It is the only mall in Bangalore which has got cosmic bowling with 27 lanes. The Forum mall is established in the year 2004 which covers 625,000 sq ft area. This shopping mall is located at Koramangala, Bangalore. You can see this mall while travelling via Hosur Road. This mall has 12 cinema theater and bookstore. There are totally 5 floors in this mall ranging from shopping to entertainment. You can get almost all the equipment in this mall and so it is best place for young aged group. Multiplex is the major attraction of this mall. PVR cinema in this mall release movies with almost all regional languages in India like Tamil, Telugu, Hindi and Malayalam. There is another Forum mall in Whitefield, Bangalore named as The Forum Value Mall. This mall is established in the year 2011 and is located at International Tech Park, Bangalore. It features more than 130 retail stores in 5 floors. You can park your car at multi-level car parking in this mall. This mall holds the largest Reliance store in Bangalore. Reliance customers will be pleased to visit this mall. Kids can have fun at kids play area.